The Variegated Fairywren is a type of fairywren that can be found in many diverse habitats all over Australia. There are 4 subspecies recognised, and there is a high degree of sexual dimorphism. It was officially scientifically described by Nicholas Aylward Vigors and Thomas Horsfield in 1827. 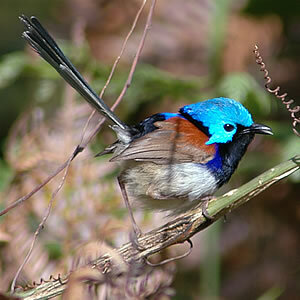 It was originally thought to be a colour variant of the Superb Fairywren. Its scientific name, Malurus lamberti, is in honour of the British collector, Aylmer Bourke Lambert. M. l. lamberti – this is the nominate subspecies of the Variegated Fairywren. It is found on the coastal regions of east Australia. The head of the male’s breeding plumage is a uniform blue, its crown is azure, and its ear coverts are lighter in colour. It also has a blue back. M. l. assimilis – also known as a Purple-backed Fairywren is found across central Australia from coastal Wetern Australia to western New South Wales and Queensland. It was originally described by the Australian Orinthologist, Alfred John North, in 1901. He called it the Purple-backed Superb Warbler. 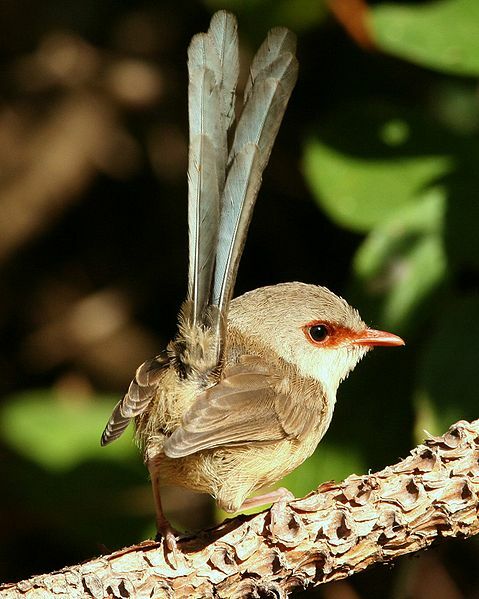 M. l. dulcis – also known as the Lavender-flanked Fairywren is found in Arnhem Land in the Northern Territory. 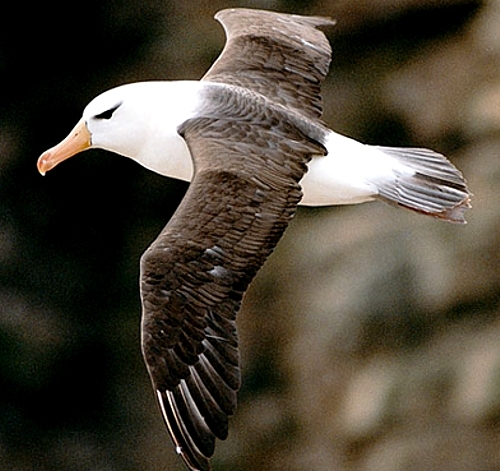 It was first described by the amateur ornithologist, Gregory Matthews, in 1908. Females are predominantly blue-grey in colour and have white lores and eye rings. M. l. rogersi was formerly thought to be the same as the Lavender-flanked Fairywren. It was first described in 1912 by Matthews. Males look similar to the M. l. assimilis and females are blue-grey. The nominate species of the Variegated Fairywren is 14 to 15 cm long, and weighs between 6 to 11 grams. Males adopt a highly visible breeding plumage which is a brilliant iridescent blue and chestnut contrasting with black and grey-brown. Non-breeding males, juveniles, and females are mostly grey-brown in colour. Their diet consists of a variety of small creatures. This includes weevils, flies, bugs, grasshoppers, ants, and various types of larvae. 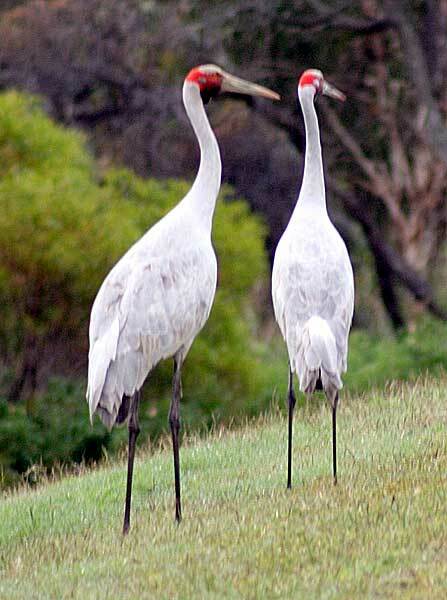 They forage deep inside shrubby vegetation that is less than 2 metres above the ground. The Variegated Fairywren has appeared on an Australia Post stamp. It appeared on a 45c postage stamp in the Nature of Australia – Desert collection which was releasted in mid-2002.